His first SAAA medal was silver rather than gold, but the start of a notable career in athletics at the age of 16 years. 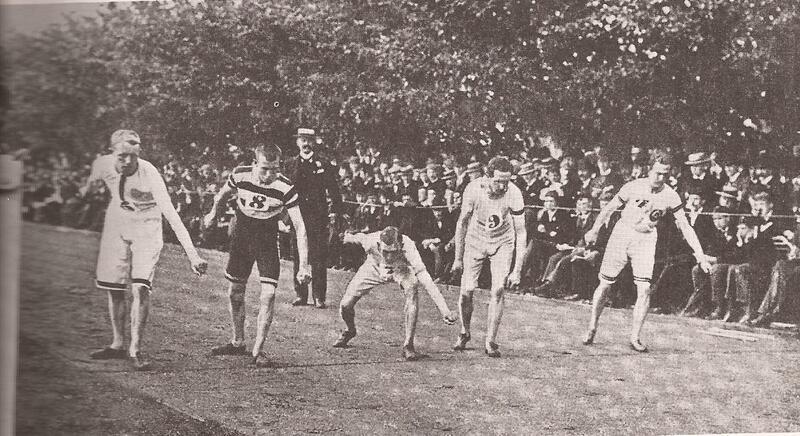 The slowest ever winning mile time in the Scottish championships was set in 1894 when, with only two competitors, the winning time was 5 minutes 36 seconds. James Rodger of Carrick Harriers won with 17-year old Hugh Welsh of Watsonians second. The pace was funereal – but the last lap was in 54 seconds! The first four laps averaged 94 seconds each. He had not appeared very often in the results columns earlier in the year, but the preview of the championships in the ‘Glasgow Herald’ read: The half-mile will be another good race. Welsh, of the Watsonians, has entered; his form over this distance is unknown, but he must have been doing something fair or he would not have entered. Still, we hardly think he will be able to outrun either Mitchell or Rodger, who are the strongest candidates for this distance. As regards the Mile, if time performances go for anything, there is only one runner in it, J Rodger of Maybole. His performance at the ‘West’ Harriers Sports – 4 min 31 2-5th secs – we look upon as next in point of merit to DS Duncan’s record – 4 mins 28 secs. …. It is said that Welsh will be Rodgers’ hardest opponent. Welsh will not run in the Four Miles race, which is a wise decision, seeing he is only yet 18 years of age.” This was the only time that Welsh was defeated in the SAAA championships and he went on to do the 880/Mile double several times in the championships and even did it in the Irish international. 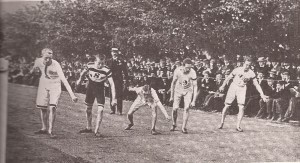 In 1895, the SAAA championships were challenged by the breakaway SAAU holding their version of Scottish championships on the same day and there were various issues in play which led to the SAAA Championships being poorly supported by the paying public and athletic talent split between the two meetings. Welsh did not run in either of them. Nevertheless on his known form he was selected for the first ‘Scoto-Irish’ international (as it was known) and on 20th July at Celtic Park he won the Mile in 4:33 from Ireland’s JJ Mullen of Elysian Harriers. 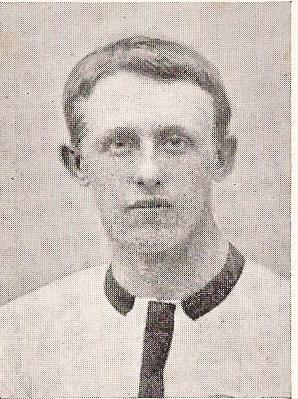 He was in action the following year, 1896, however to the extent that he won both 880 yards and One Miles titles. In the 880 yards he won in 2:04 from W Hay and in the Mile his time was 4:32 with J Stirton second. This double was only the first of the summer – on 18th July at Ball’s Bridge in Dublin, in the International, he won the 880 yards in 2:01.4 from Ireland’s JE Finnegan, and the Mile in 4:33 from JJ Mullen – the same JJ Mullen that he had beaten in 4:33 the previous year! “He Welsh created a surprise in defeating Mullen in the Mile; but as the Irishman was just recovering from a sharp illness, it is evident that under other circumstances this, like the majority of events, would have fallen to our rivals.“ The ‘Glasgow Herald’ was not impressed by a Scottish victory, then. Nevertheless what would nowadays be called a ‘double’ at the national championships plus an international victory constituted a good season’s work. Into 1897 the championships were held at Celtic Park on 26th June and Welsh was again in action. As in 1896, Welsh won both 880 yards and One Mile, but the races were a wee bit harder in that the two feuding organisations had come together and in the joint SAAA/SAAU meeting, he defeated opponents from the West. 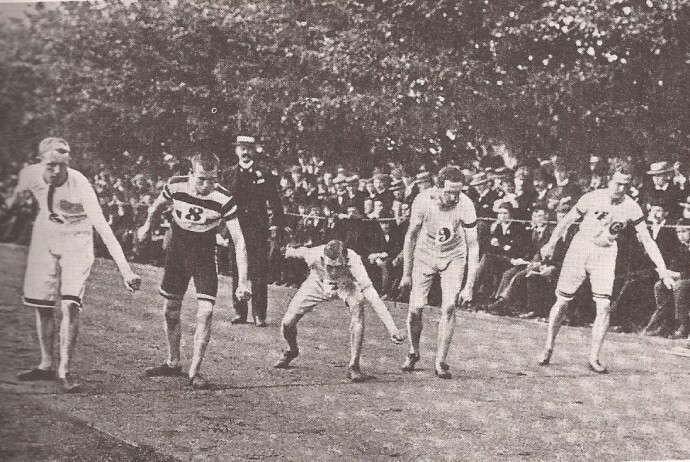 W Robertson of Clydesdale Harriers was a very good runner who had set a Scottish record of 4:27.2 at the SAAU championships in June 1896 but Welsh won the head-to-head in 4:24.2. In the 880 yards he won in 2:02 from J Barclay. John Keddie in ‘Scottish Athletics’ gives us more information on the 1897 season saying. “SAAA champion in 1896, Hugh Welsh’s first incursion into the record books took place at the following year’s united SAAA and SAAU meeting at Celtic Park when he won the mile in 4:24.2. The following week he was down at Fallowfield, Manchester, for the AAA event which was to prove an unhappy affair as in the course of the race he was spiked in the back of the leg, lost a running shoe and hobbled in well behind. Salford Harrier Alfred E Tysoe went on to win the race in 4:27.0, a time well within Hugh Welsh’s capability. The Englishman was said to have been unhappy with the circumstances of his victory, in addition to which a lively correspondence ensued between the SAAA and the AAA over the ‘incident’, but in the event no action was taken. 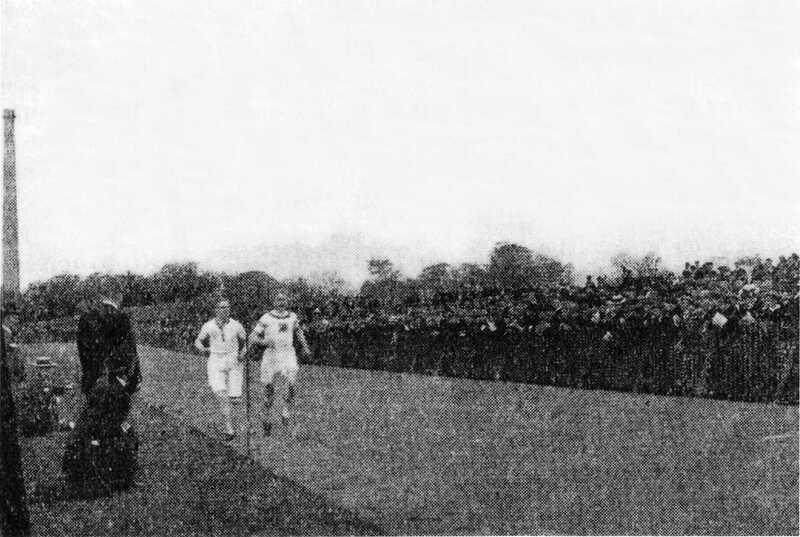 This race, and the backgrounds of both men, is covered in vivid detail in ‘The Scots Athlete’, Vol 2, Number 5, of August 1947 and can be found at http://salroadrunningandcrosscountrymedalists.co.uk/Archive/The%20Scots%20Athlete%20Volumes/Volume%202/SA%20Vol%202,5.pdf where it is on pages 10 – 13 inclusive. Very well worth a visit. The Irish International in 1898 was held on 17th July at Ball’s Bridge in Dublin and Welsh tackled both 880 yards and Mile successfully again. He won the 880 in 2:04 from CH Dickenson of Ireland, and took the Mile in 4:21.4 from CR Faussett of Ireland. The only title he did not win in 1898 was the SAAA championship. A very good half miler as well as a miler, his best race at the distance was on 10th June, 1899 at Edinburgh. Tysoe was again in the field, and Tysoe held the Scottish all-comer’s record of 1:57.8. Another race that turned into a duel with Tysoe taking the pace out hard to attempt to remove Welsh’s finish. He failed and Welsh surged past with 150 yards to go to win by 5 yards in a new native record of 1:59.4. He had given up athletics by 1900 and Tysoe and Bennett both ran well in the Olympics. If only ….. and what if…? He did indeed turn out in the international fixture on 15th July at Powderhall and again won his two events – the 880 yards 2:03.8 and the Mile in 4:32.6 from J McKenzie and J Finnegan of Ireland. 1889 had brought him two gold medals in the SAAA, another at the AAA’s, a Scottish record in the half-mile and the two victories in the Irish match which helped Scotland win by 6 events to 5. Unfortunately he kept his word and retired after this meeting. Keddie tells us that Welsh was a factor of estates who moved from Motherwell to Carlisle in 1902. His early retirement after a career in which he had never, according to those who saw him run or competed against him, fully extended himself, doing only enough to win led to all the questions about what could he have done.